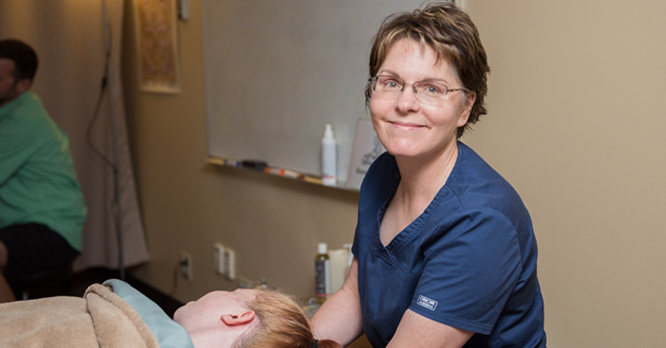 Become a LICENSED PROFESSIONAL in the field of MASSAGE THERAPY! Official provider of Rock Valley College’s 600-hour Massage Certification Program. Bodycraft Wellness & Massage Center LLC is approved by the Division of Private Business and Vocational Schools of the Illinois Board of Higher Education (IBHE), Approved provider and Assigned School with the National Board for Therapeutic Massage & Bodywork (NCBTMB), and a proud member of the Associated Bodywork & Massage Professionals (ABMP) since 2014. Offering a 600-hour/12-month program to people seeking out a career in massage & bodywork therapies. With a strong business edge and a well-rounded curriculum this program has been designed to offer students a combined lecture, demonstration, and clinical practice. Students will develop an in depth understanding of the human body and its interactions. Students will develop a strong understanding in areas of anatomy & physiology, applied kinesiology, and pathology. The program involves hands-on learning of basic Swedish and deep tissue massage techniques. 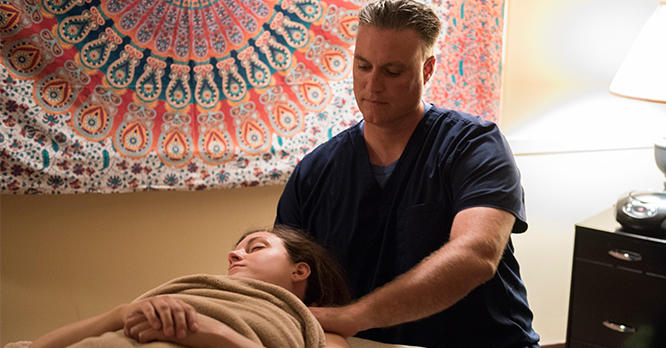 Once students reach a certain level of knowledge they will participate in student clinics, which allow for opportunities to perform Swedish massage on actual clients, under supervision of licensed instructors. Tuition—payment must be received in full at time of enrollment. Electives—each student has from program start date to program end date to complete 80 clock hours of electives (mandatory CPR/First aid). Books—each book must be purchased prior to the beginning of specific class segment. BWMC will provide all required books for purchase. See class calendar. ABMP student insurance—payment and paperwork will be received before program start date. Professional Session—proof of a one-hour professional massage session is required before program start date. (4) Sets of sheets—must be purchased by the first day of FTMB class. BWMC will provide for purchase. Massage Table— BWMC will provide for purchase. It will be the student’s responsibility to pay full tuition at time of enrollment. Elective classes, books, and other supplies listed above will be an added expense and is the student’s responsibility to procure. Student manuals, lotions, massage tables (in class use/rental use only), bolsters, blankets, and pillows will be supplied. Applicants are required to interview before being accepted into the program. Please call 815-977-4743 to schedule an interview. Upon acceptance you will fill all required paperwork as well as pay tuition and fees. Students will receive a certificate from Bodycraft Wellness & Massage Center, LLC. This will allow students to become eligible to take their NCBTMB or MBLEX exam, and when passing exam then students can apply for Illinois State license under The Department of Financial and Professional Regulations Division. Successful completion does not guarantee employment, but strong support and guidance will be offered.